One of the most compelling aspects of the LG G6 is its display. Sporting a unique 18:9 aspect ratio and a resolution of 1440 x 2880, the G6 makes it easy to get the big-screen experience without the unwieldy form factor. The only other smartphones to sport 18:9 displays (well, 18.5:9, technically) are the Galaxy S8 and S8 Plus. The problem is, to get one of these high-end screens, you need to buy a high-end device. Thankfully LG is focused on bringing its wonderful FullVision display tech to lower-end devices, the first three of which are being introduced today. 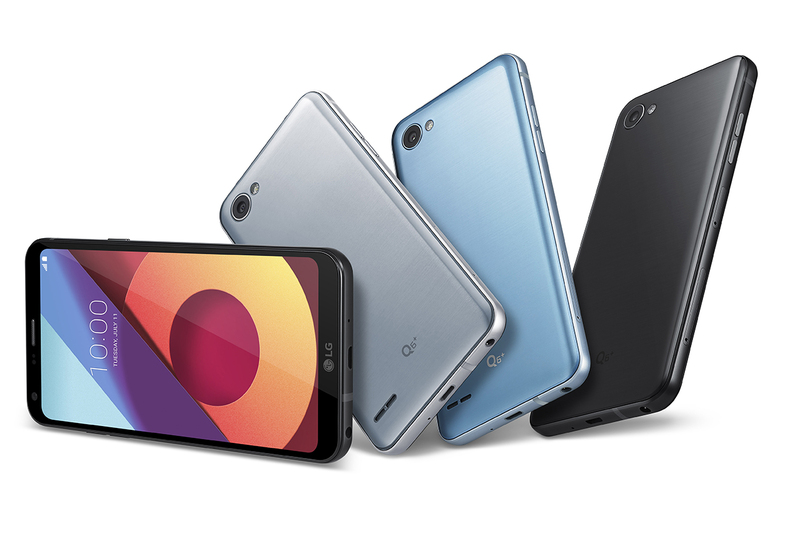 Enter: the LG Q6, LG Q6 Plus (styled Q6+), and LG Q6a. As you’ve probably guessed, the standout features on the new Q6 series are their displays. Each one has a 5.5-inch 18:9 FullHD+ display, with a resolution of 2160 x 1080 and a pixel density of 442 ppi. And like the G6, these phones also have curved edges on the screens, which are further accentuated by the subtle curves on the devices’ chassis. All phones in the Q6 lineup sport metallic frames made of 7000 series aluminum, as well. Surrounding these 18:9 displays are minimal bezels, which, as we mentioned in our LG G6 review, will certainly help with one-handed use. Under the hood, the entire Q6 lineup features Qualcomm’s mid-range Snapdragon 435 Mobile Platform. The Q6 Plus comes with 4 GB of RAM and 64 GB of storage, while the standard Q6 comes with 3 GB of RAM and 32 GB of storage, and the Q6a sports a 2/16 GB setup. They all come with non-removable 3,000 mAh batteries, too. In terms of optics, all three devices share the same 13 MP standard angle rear-facing sensor, along with a 5 MP 100-degree wide-angle front camera. The selfie shooters on these devices also come with LG’s Face Recognition feature. That’s a nice touch, too, considering these devices don’t come with fingerprint sensors. Finally, all three devices are running Android 7.1.1 Nougat out of the box, along with LG’s UX 6.0 on top. Q6 owners can take advantage of features like Square Camera Mode, which debuted on the G6. LG is remaining a little quiet on specific availability details right now, at least in most areas of the world. The standard LG Q6 is available from Amazon India right now, and we’re still waiting to hear about availability in Europe, Latin America, and North America. Pricing for these regions has not been revealed. So what are your thoughts on the new Q6 lineup? Will one of these be your next phone? Let us know your thoughts in the comments.